I’m thrilled to launch Sunshine Sam’s new website in time to share my list of favorite holiday gifts with you. Making this was no easy task, because I truly love everything Sunshine Sam offers. I certainly didn’t expect that a toy with an electronic component would be my first pick! After all, Sunshine Sam is known for its curated battery/screen-free collection of gifts. But it’s holiday time, and MAZE is too good to pass up, as are all of silly, creative, nostalgic, artisan-made, and inspiring products below. It’s the perfect marriage between building a classic toy, a labyrinth marble maze, then meshing it with cutting-edge virtual reality technology. You are the inventor! Your adventure starts when you place walls and traps onto a grid with simple blocks and stickers, all included in the kit. Play by tilting your maze and trying to get your marble from start to finish. Virtual reality comes into play with you build your viewer, download the free app, and transform your Maze into a spaceship, kingdom or ancient ruin. Build Emily and Lucas’ Surf Shop a new way every time you play! The magnetic storywall panels and accessories enable you to design and build a dollhouse for endless imaginative play! Two dress-up dolls are included. Expansion doll packs and additional play-sets available. Recommended for girls and boys ages 4-8. Get decked out like the Mad Hatter! But don’t be late, this Top Hat is a limited edition item! And, like all Seedling DIY kits, it has all you’ll need to bring this favorite Disney adventure to life! Adornments: Gold buttons, feathers, glitter, felt shapes, printed cards, satin and lace fabric, thread, sewing needles and more! Seedling takes the beautiful craft of making a Dream Catcher to another level. Adults and children will enjoy creating this whimsical, colorful piece of art. You may even want to make it yourself to give as a gift for a loved-one to hang on a bedpost or above his/her bed. Sweet dreams! Adornments: Bright feathers, embroidery thread, pom poms, beads, and bold ribbon to make a one-of-a-kind creation. 5) SUNSHINE SAM ♥s ETSY: Smarty Pants Paper Co.
To say that we love all things Smarty Pants is a HUGE understatement. 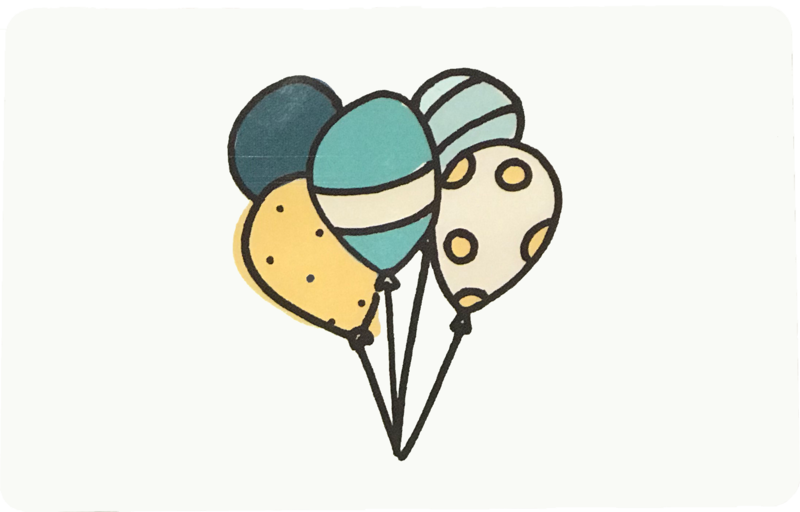 From Owner/Designer, Kate’s whimsical Gift Wrap, to her hilarious Greeting Cards, colorful Washi Tape and sooo much more, we just can’t get enough! Washi rips easily (no scissors needed). It is sticky enough to adhere to paper but not soooo sticky that it could damage a wall, table or floor. It has soooo many uses: My faves are using it to hang children’s artwork on the wall, keeping some in my bag for kids to create collages on-the-go, and replacing ribbon with Washi for a show-stopping wrapped gift.